From a weather perspective, most attention nationally is focused on potential impacts from a Nor'Easter early this weekend in the media capital of the world. But here in the Mid-South, we'll be dealing with the backside of the same low pressure system that becomes the Nor'Easter late Thursday night/Friday morning. As the low pulls away, cold air will dive south, potentially changing lingering rain into snow. 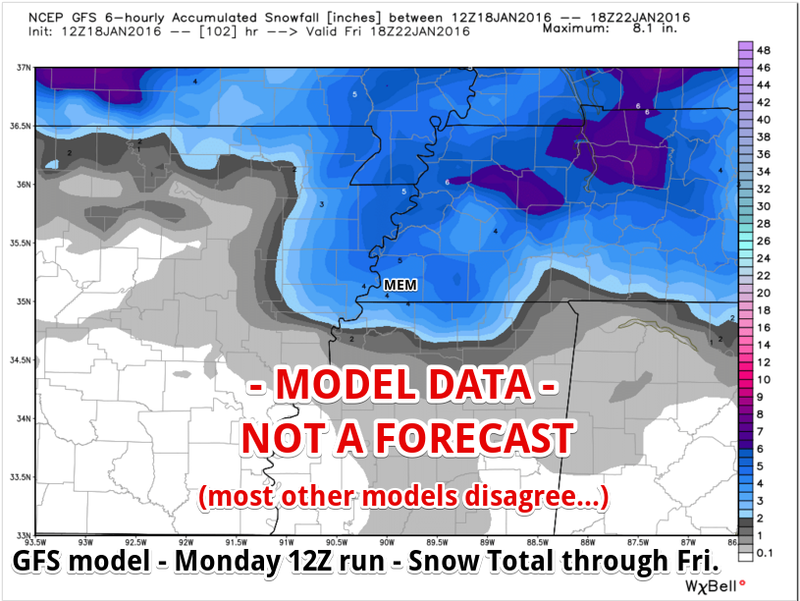 This post serves as a reminder of how best to consume "#snOMG forecasts" (snow-OMG, or models showing crazy, excessive, or improbable snow totals beyond a couple of days in advance). I'll also lump in any snowfall graphic that doesn't clearly describe the source and include some context on the confidence or probability of the depicted scenario occurring. 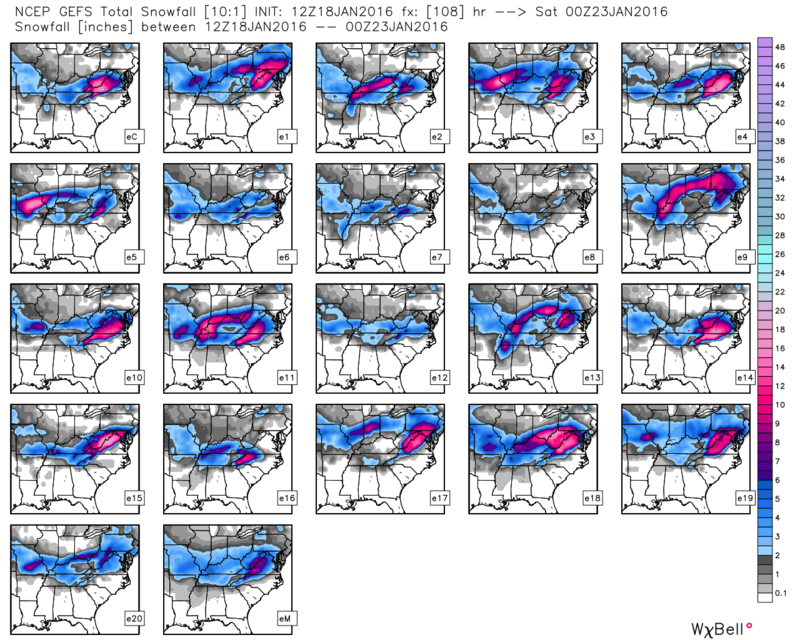 In a nutshell, take any of those types of forecasts with a grain of salt! I'm not saying that the #snOMG scenario can't, or won't, happen, just as I'm not saying you won't win the lottery if you buy a ticket! So those who would like you to believe (or maybe just want to believe themselves and also happen to have a public voice on Facebook or Twitter) that we will get accumulating snow will post something like the above, only without the caveats I added. Let me add some responsible context to the above graphic - not because I hate snow (I actually love snow), but because it's the responsible thing to do. 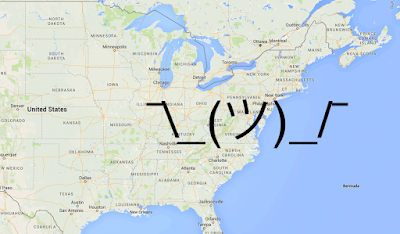 I don't shy away from discussing snow chances, I just do it in a responsible fashion. 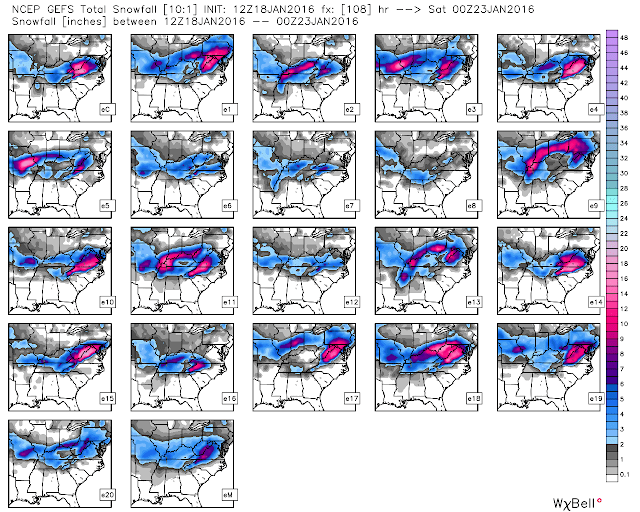 All 22 members of the GFS ensemble forecast from this morning, showing the possible snowfall totals by Friday evening. 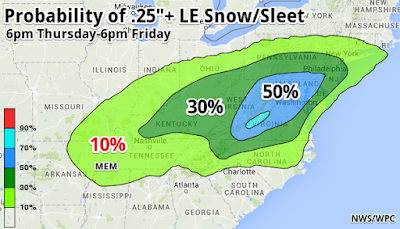 Graphic courtesy of the awesome weather model site WeatherBell Analytics. 3. Like the GFS, the European model also has an ensemble, only its made up of 51 members rather than 21. A check of the precip totals from last night's European ensemble forecasts (this morning's run was not complete as of this writing) showed that only 9 of them forecast 1" or more of precipitation. So that means the Europeans, which are so darn good at medium-range forecasting, give us less than a 20% chance of 1" of snow. 4. I also looked at the Canadian, Japanese, UK, and Navy models - basically everything I could get my hands on - and none of them showed the amount of snow the GFS is showing. 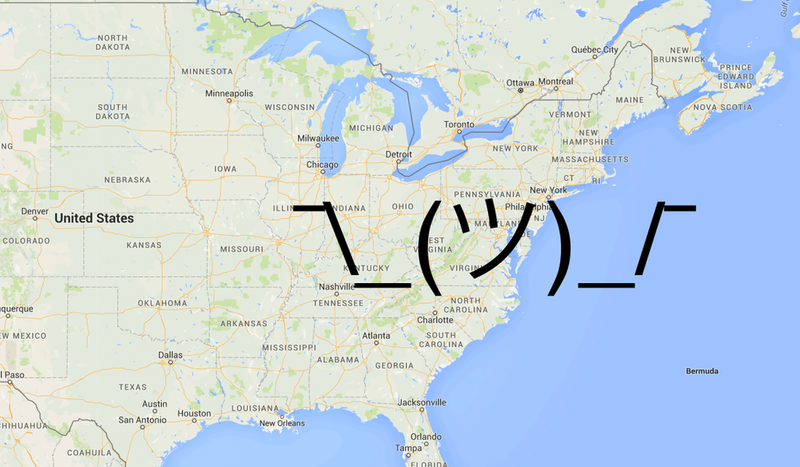 Finally, let's go to the official government source of forecasts for the U.S., the National Weather Service. Their 4-day winter weather outlook depicts just a 10% chance of receiving 0.25" of liquid equivalent (melted) snow/sleet. Since snow typically has about a 10:1 snow/rain ratio, that equates to about 2.5" of snow. Thus, a 10% chance of 2.5" of snow. Not out of the realm to see this much, but not likely by any means. The NWS 4-day winter weather outlook shows a 10% chance of seeing roughly 2.5" of snow, based on .25" liquid equivalent. For more on how to handle these long-range "hype-casts" and our goals at MWN with respect to these types of forecasts, see this write-up we posted a couple of weeks ago. 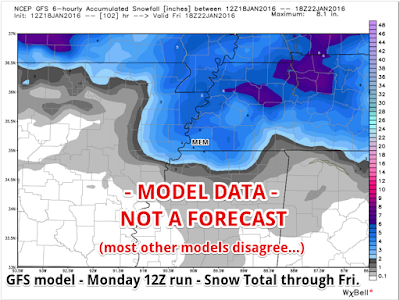 As always, we'll watch the models and evolving patterns and let you know what we expect when we have the confidence to say so, or if we have low confidence, we'll let you know that too! Please don't take the four-day forecast of 5" you saw on Facebook, disregard updates from your trusted sources between now and then, and wonder why "they got it wrong again" when you wake up to a dusting Friday morning! More updates as we go through the week, including that low confidence Wednesday morning event. 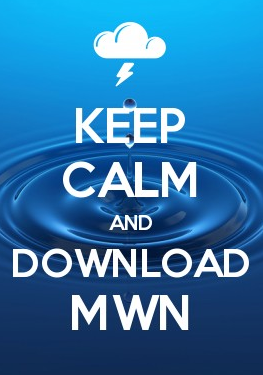 See our social media feeds or forecast in the MWN app.